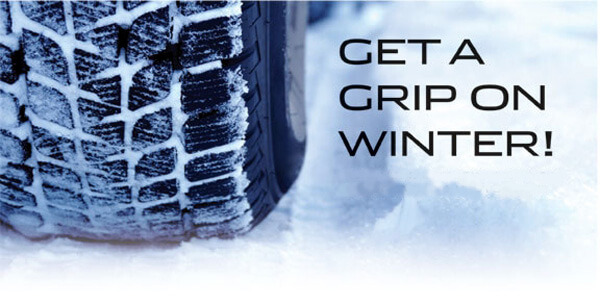 Maybe you know very little and care even less about winter tyres. Not everybody we drive around is a driver, and particularly in this fair city, even if you are, you may choose to hire a cool London chauffeur driven car rather than negotiate the motorized maze that is London traffic. In the chilly English winter, when roads may be sludgy, icy or wet, who wants to worry about driving around? If you want a good time, and to treat your nearest and dearest to a special trip out, then you probably just want to get there and back, and if it’s in style, then surely that’s a bonus? So I’m not here to tell you what to do with your own tyres, if indeed, you have any tyres! Really, what I’d like to let you in on, is the use Mercedes Chauffeur Hire makes of winter tyres, and why we choose to use them. This is very close to my own heart, as I care about safety, and if you do too, then read on, do! It is essential that our passengers are comfortable, cosy and above all, safe. If you only ever sit in a car that someone else is driving, before you make the decision to pay for a great ride, consider why it’s a good idea to take that ride! Choose someone who cares whether your transport is perfectly equipped to withstand whatever the weather throws at it. Someone who cares that it will get you there happy, warm and well. So what’s the Big Deal with Winter Tyres? Mercedes Chauffeur Hire uses winter tyres from November to March regardless, snow or shine. They are engineered to perform to the optimum level available in unpredictable English winters. Even so, just 0.5% of overall UK tyre sales are those of winter tyres. Quite simply, switching tyres is not something we’re accustomed to in this country. Well, dusting off my soap box for a second here, I say – and believe me this is my business, I know what I’m talking about – not for nothing have winter tyres been perfected, manufactured and distributed. Here’s the technical bit – they greatly increase traction, especially in cold and on snowy roads. And talking about snowy and icy roads, if your car happens to be rear wheel drive, like our Mercedes S class or Viano vehicles, without winter tyres you will either be parked on your driveway praying for good weather or, if you are kamikaze enough to go on the road, you will be stopping everybody and anybody every 10 minutes begging for a push..
Winter tyres stay softer in cold weather – summer tyres will harden, almost seeming to take on the qualities of plastic. In temperatures below 7C, they do not grip the road as well. On icy roads your car will be all over the place, like a celebrity’s first try in Dancing on Ice. Winter tyres make for better braking, so stopping times are greatly improved.. Oh, and winter tyres last longer than summer tyres in cold weather. They’re worth it! So there you go – I’m not just here to tell you where to go to enjoy yourself. I’m really keen to ensure you realize that when you’re in our hands, cruising smoothly along the highways and byways of the great metropolis that is London, your safety really matters. Come snow, come ice we’ll get you there – and we really, really care. But maybe you don’t want to be bothered about all this. You’ll leave it to the experts, thank you very much! Well then, I doff my chauffeur hat to your good self, and say ‘Expert?’ Thank you kindly in return. I’ll go with that!